The Holy Basil plant looks very similar to other basils, with slender leaves, hairy purplish stems and purple flower bracts. The leaves and the essential oil have a light musky scent with a warming hint of mint and cloves and keeping a plant in your home can help purify the air with its refreshing, pleasant smell. Holy Basil can be used for everything from the common cold, headaches, stomach disorders, infammation, heart disease, as well as various forms of poisoning and malaria. Holy Basil is an excellent adaptogenic herb that can help relieve the stress of modern living. Oxidation caused by free radicals and chronic inflammation are potent sources of mind and body stress. Sipping Tulsi-leaf teas provides adaptogenic and antioxidant chemicals that help reduce inflammation and is similar to green tea in its anti-tumor and anti-ulcerative properties. 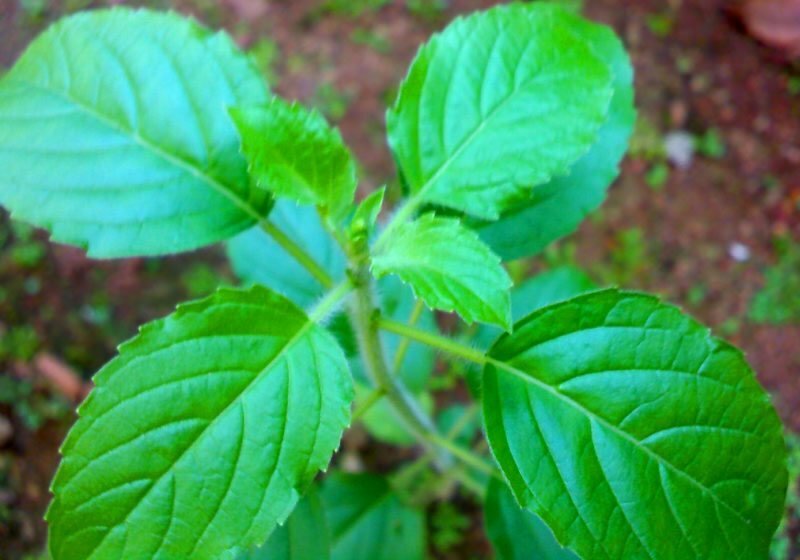 Holy Basil leaves or tincture is a quick remedy for bronchitis, coughs and colds and commonly used for indigestion. It is also considered a blood purifier and is useful for skin diseases, nausea, worms, allergic rhinitis and all types of respiratory disorders. 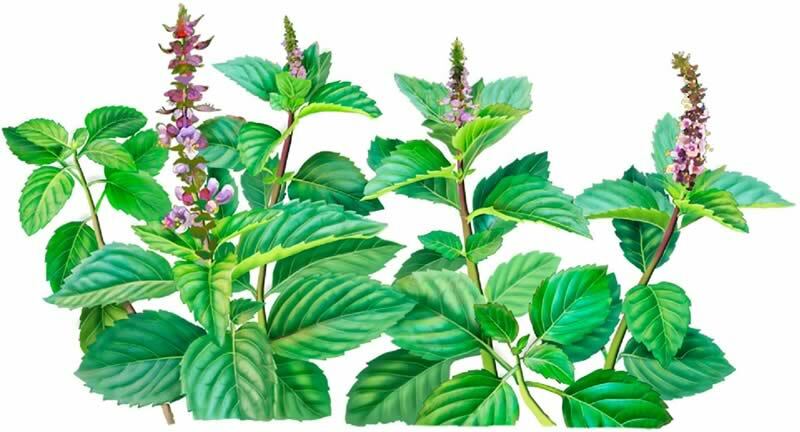 Holy Basil can also help control cholesterol and diabetic issues and it is said that eating Holy Basil along with other foods will relieve stomach problems including cramps and digestive disorders. Holy basil has possibility of becoming an effective treatment for amnesia. These are just some of the healing potentials of Holy Basil that have been researched. It is no wonder this plant has been considered sacred and held in such high esteem to many people! Hummingbird Creations is now offering a Holy Basil tincture, harvested from my own garden and extracted in 100 proof Vodka, for a potent 50/50 tincture of the pure fresh herb. No chemicals are used in growing and processing the plants.